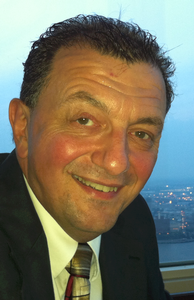 Frank Foti is the Founder and President of Telos Systems/Omnia Audio, the leading innovative processing company, located in Cleveland, Ohio. He leads a talented team that researches and designs signal processing for every form of broadcasting. Ten years ago, he lead the design of the Omnia line of audio processors, which are the leading choice of broadcasters the worldover. Omnia processors are used on FM/AM, HD Radio, DAB, DRM, Music Mastering, and Netcasting. Currently, he is leading the charge of implementing 5.1 Surround audio for FM radio and the internet. In an earlier life, he was “in the trenches” of day-to-day radio as Chief Engineer for a number of successful radio stations in the USA: WMMS/WHK (Cleveland), KSAN/KNEW (San Francisco), and the most well-known being Z-100, WHTZ-FM in New York City, which he designed and built in 1983.